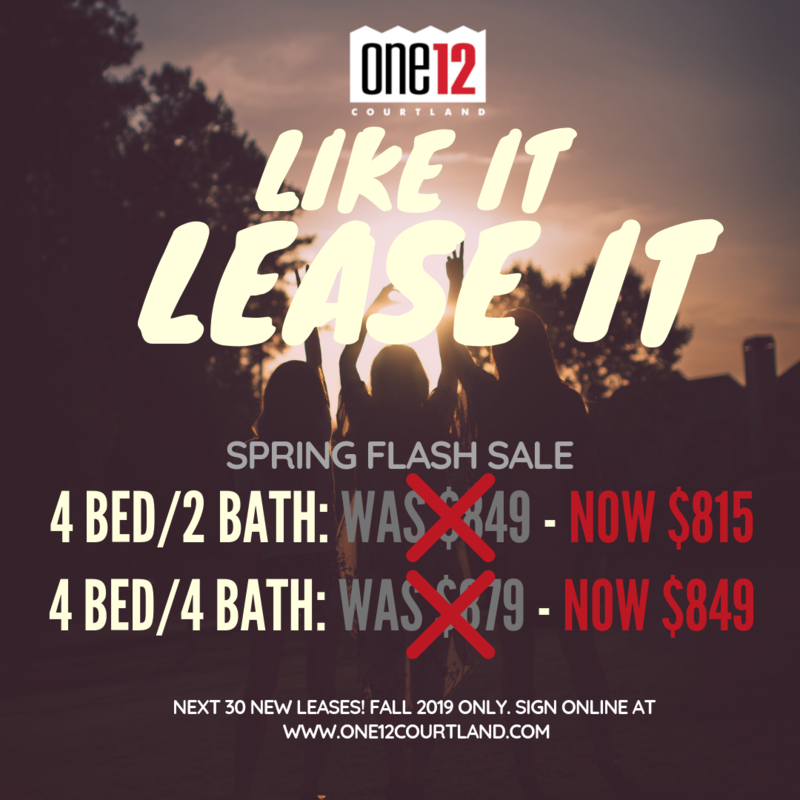 One12 Courtland offers more than just apartment living. We are focused on the total student apartment living experience. Conveniently located within walking distance to Georgia State University, our premier student apartments feature spacious 1, 2, 3 & 4 bedroom floor plans. Lease with friends or rent by the room! Our Atlanta apartments offer the latest amenities and conveniences in the area to help make the most of your college experience. Take a dip in our rooftop pool overlooking downtown, relax in our exclusive clubhouse equipped with large screen TV’s or stay active in our fully-equipped fitness center with Fitness on Demand. You’ll discover the best student apartments in Atlanta with us. With all utilities included and an atmosphere you'll love to call home, One12 Courtland offers residents a superior value to any other community around.